Gen Xtinct: Heroes on the soap dish! TMNT soap! 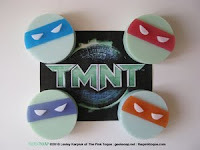 Heroes on the soap dish! Turtle power!